5 Ways to Survive a Personal Financial Emergency? A personal financial emergency can happen to anyone. Any number of things could blindside you. You may lose your job unexpectedly. You may have a medical emergency. Or you may need to take care of an emergency home repair. Although you may be earning the money you need to take care of these expenses, your paycheck may still be a few days away. And even if you do happen to have the money in your bank account, you may not be able to use it because you still need to keep the lights on, still need gas in your car, and still need food on the table. Meanwhile, these expenses have to be paid right away. So, what should you do if you have a financial crisis? You can get a personal cash loan even if your credit isn’t stellar. Depending on your circumstances, you may be able to raise a few hundred dollars. In fact, when it comes to getting a personal cash loan, some fast installment loans even pay out as much as $1250. The nice thing about finding a reasonable lender is that there is no credit check. You won’t need to offer collateral and eligibility requirements are often minimal. 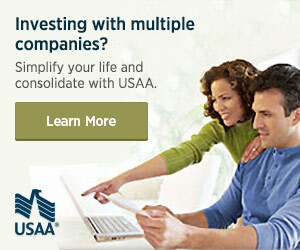 What’s more, you can receive the money quickly and you can pay the money back based on a flexible repayment schedule. All you’ll need to apply for the loan is a Social Security number, a verifiable source of income like your last payday slip, and a bank statement to show that you have an active checking account. 2. Get a side hustle. Think back to when you were a teenager. How did you raise money then? You may have raked leaves, mowed lawns, shoveled dirt in a garden, run errands, or done some babysitting. When you’re in a tight spot, you may need to consider this kind of work, side hustles. Look on Craigslist or ask your neighbors. Sometimes, too, you may get the job just because you have the right equipment. For instance, a neighbor may hire you to cut their grass because you happen to have a better lawnmower! You can always sell stuff around your house. See what it is that you have that you don’t want anymore. Think of having a garage sale or a yard sale. All those little things that you’ve been wanting to get rid of for some time could now add up to a tidy sum of money. The advantage of this plan is that you’ll also declutter your house. Something you intended to do anyway. 4. Sell your stuff at a pawn shop. Only consider a pawn shop if you can’t get a personal loan, find a side hustle, or are unable to organize a garage sale. This is because there are two big problems with pawn shop loans. One issue is that you will not get a loan even close to what your property is worth. For instance, the lovely wristwatch that you paid $200 for may only get a loan offer for $25 from the pawnshop clerk. Another drawback with a pawn shop loan is that you’ll be charged high interest. And, in the event that you can’t pay your loan back on time, you may lose your stuff. 5. Ask a charity for assistance. If nothing else works, there’s always charity. Some local organization might be able to help you out. Community organizations sometimes help members of their community, church members, their congregation, and even wider municipalities. Still, one thing to keep in mind is that this kind of money is not always easy to obtain. You may have to go through interviews, fill out lots of forms, and provide documentation. In conclusion, think of creating a rainy-day fund to prevent a similar type of crisis in the future. Since, it’s always difficult to go through this kind of experience, think about setting money aside at regular intervals so that you can have some money in your savings account.